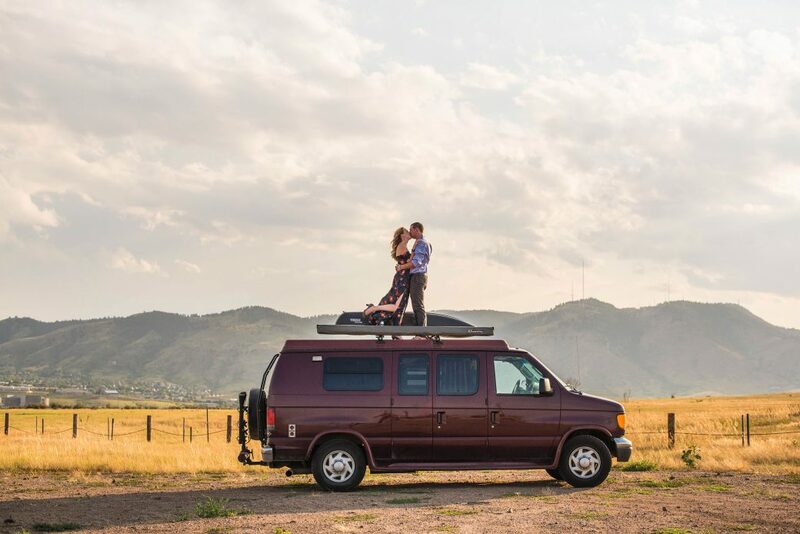 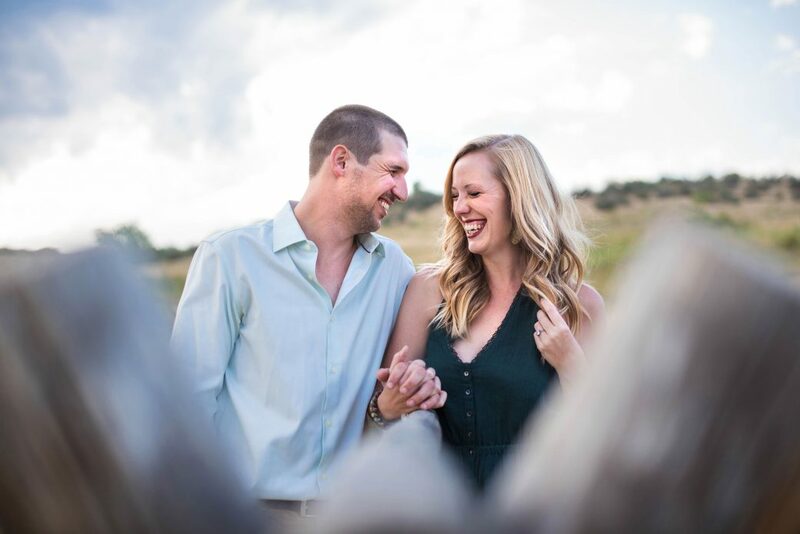 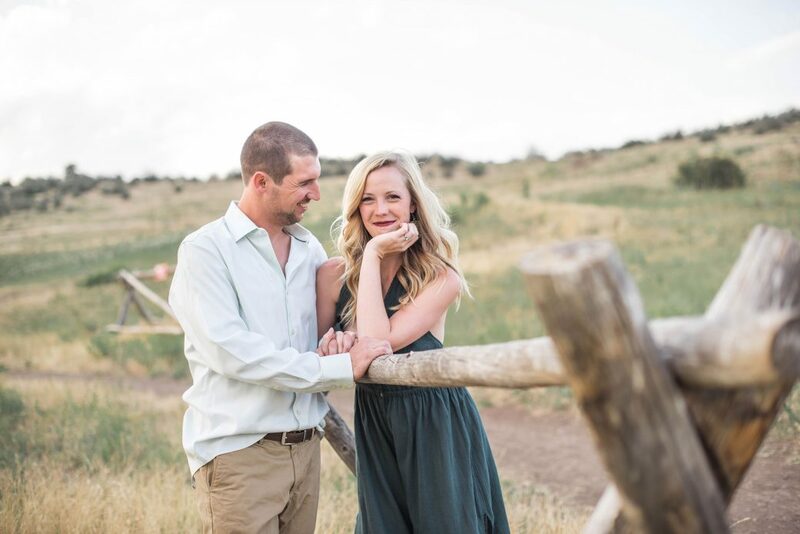 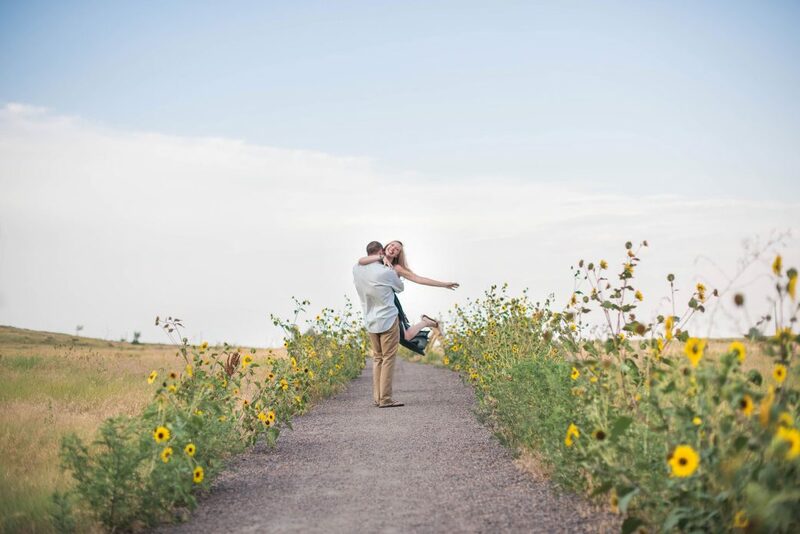 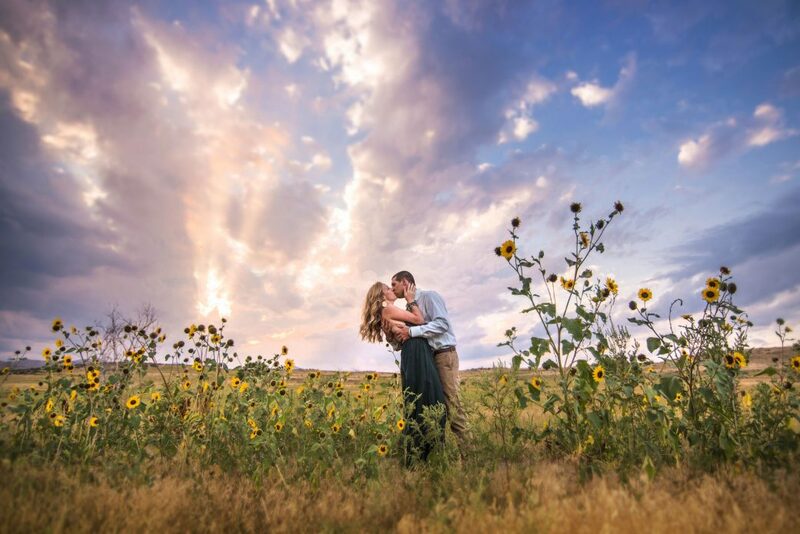 Allie & Tyler quit their jobs in California and traveled around in their campervan for 10 months, visiting 28 states, 20 National Parks, and two Canadian Provinces. 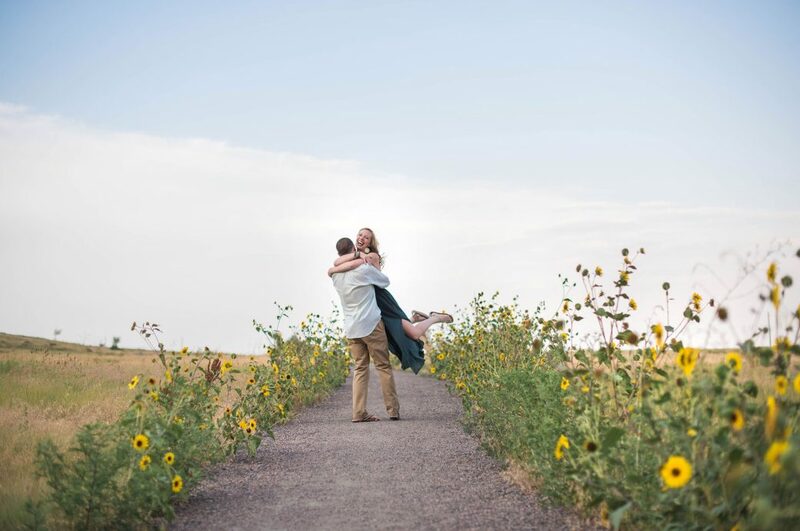 Tyler had been in the corporate world for a while and Allie wasn’t sure he’d ever take the leap to head out on a big cross-country adventure. 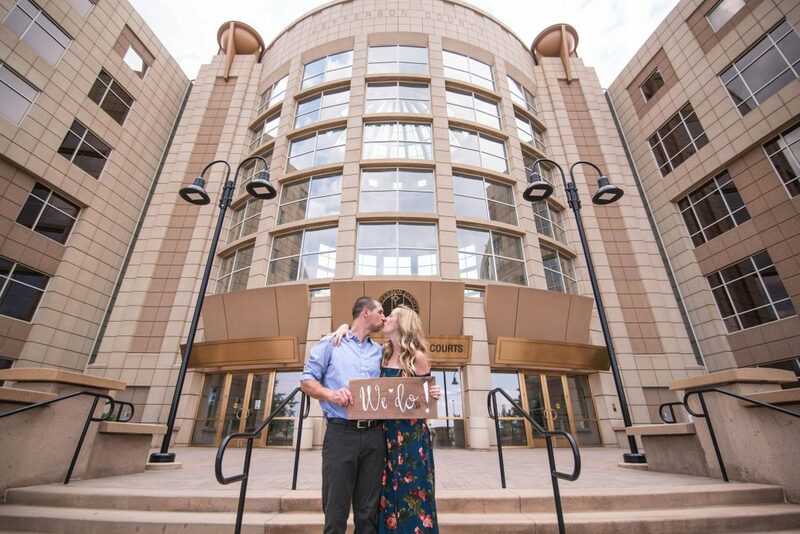 But, he did. 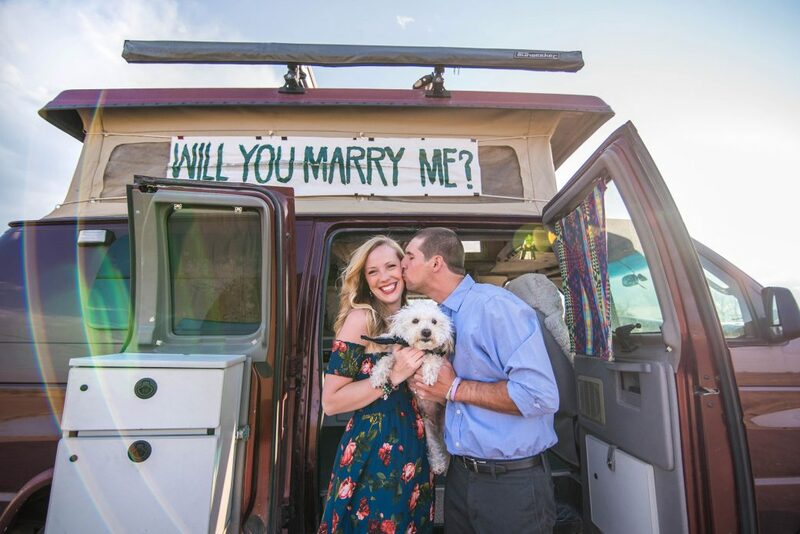 At the end of the trip, Tyler proposed to Allie with a sign he made and strapped to the side of the van’s pop-up roof. 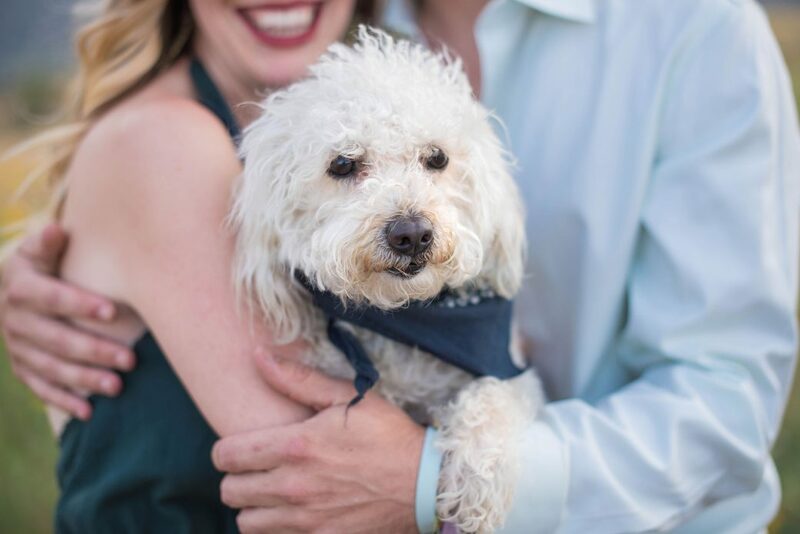 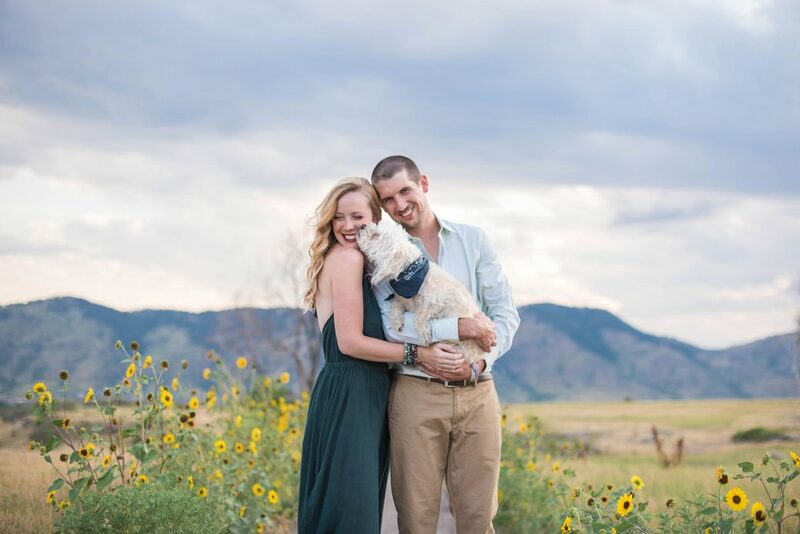 They have now settled in Golden, Colorado with their adorable dog, Charlie.